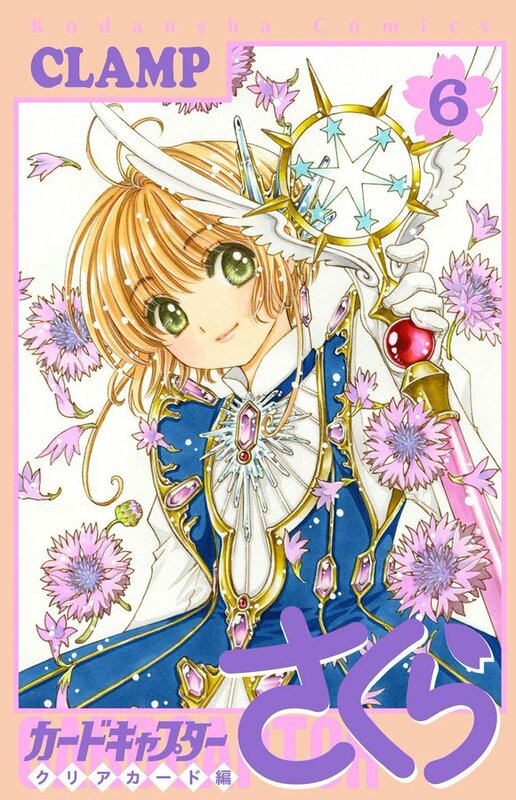 The sixth volume of Card Captor Sakura ~Clear Card arc~ dropped 4 positions, landing at the 13th positions in Oricon’s weekly ranking, with an estimate of 51,504 copies sold in its second week of sales. The above numbers are for the regular edition, only. The Special Edition unfortunately did not appear this week at Oricon’s Top 30 and therefore, sale numbers for the Special Edition (Exhibit CD audio guide) are unknown. Overall, volume 6 has sold an estimate of 186,541 copies in two weeks. It is neck and neck with the overall second week sales of volume 5, but still slightly smaller than the 192,699 copies sold by volume 5 on week 2. 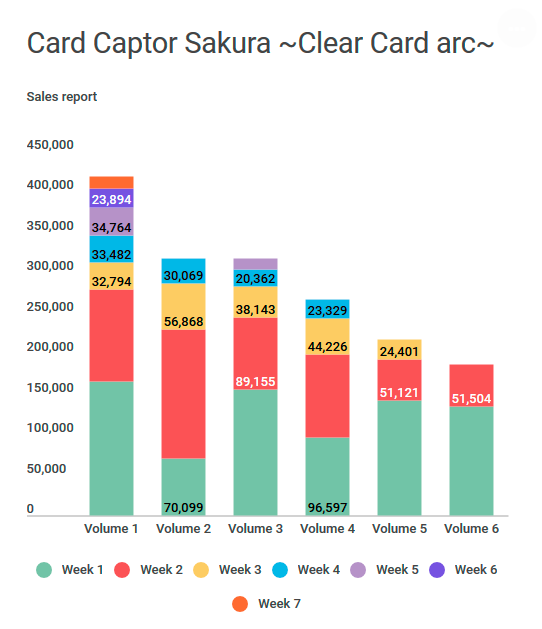 These numbers represent the lowest overall sales of a Clear Card arc volume by the second week. Stay tuned to see if it will reappear in next week’s ranking! Fingers crossed. Volume 6 theme is purple! Both regular and limited special edition will be released on April 3rd. The benefit of the special limited first edition will be a CD with the audio guide for the Card Captor Sakura Magical Art Museum exhibit and a booklet about it. The audio guide is voiced by the anime voice actors. You can already pre-order the special edition on Amazon Japan.